SPOKANE — Paint it green and yellow, and it could be a twin to the Shadle water tower. Squint and maybe it’s a cousin to R2-D2. Or, if you like, it’s just a big old white cylinder. Whatever you think it looks like, come Monday there’s one thing the IMAX building in Riverfront Park definitely will be: a goner. On Thursday, the city announced an expedited demolition schedule of the kind-of-iconic building in Spokane’s central park. Instead of March, which was announced earlier in the week, a high-reach excavator will be clawing at the building Monday. Beginning about 1 p.m., the old, ribbed white cylinder will be torn down, little by little. It’ll take most of the week, Dickson said, and it won’t be replaced. Its location will be open space, called a “central meadow,” between the U.S. Pavilion and the paved Howard Street promenade running through the park. The decision to demolish the IMAX theater came in September 2016, but its fate was in the works for years. A master plan for the park’s redevelopment, agreed to in 2014, called for closing the IMAX because of declining revenues. 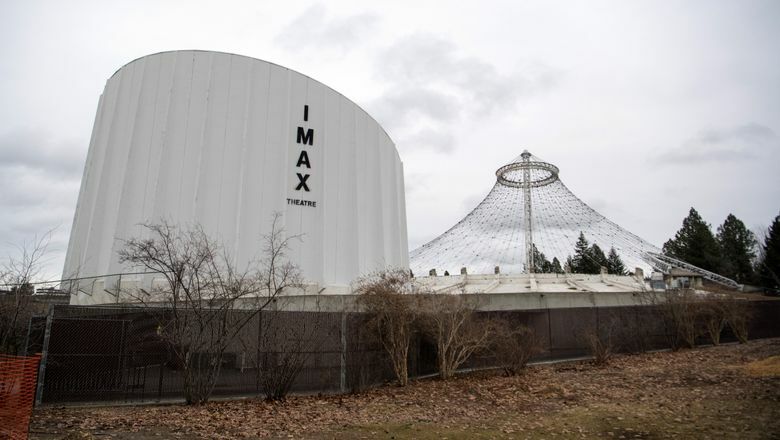 The IMAX building was built in 1978 and reached peak attendance in 2005 with 106,000 visitors. The attraction’s revenues plummeted after the opening of the IMAX screen at the AMC cinema in nearby River Park Square and the loss of licensing to show big-budget Hollywood films in 2009. In 2012, the theater lost $342,000 and just 36,500 people attended its movies. Though the old building has one more show in it — its own destruction — treasure hunters are warned off. Besides the danger surrounding the demolition, the theater already has been cleared out. In September, the city auctioned off most everything associated with the 40-year-old theater: seats, large metal film packing cases, audio equipment, vinyl banners, posters and more. JACKSONVILLE, N.C. – The owner of a Jacksonville used furniture store says a massive fire on Monday was caused during a state inspection of their mattress sanitizer. Fire crews spend hours trying to extinguish the blaze at Sam’s Furniture on Lejeune Boulevard. Sam Bright says he’s been in the building for the past 47 years and has no plans to rebuild. The business is licensed to sell used mattresses, but state law says they must be sanitized in a room at 230°. Bright says he was trying to pass a state inspection when he and the inspector saw flames and things quickly got out of hand. Overnight crews demolished much of the building and Lejeune Boulevard was able to reopen. Crews are preparing to demolish what is left of a furniture store in Jacksonville after a large fire on Tuesday afternoon. The battle to put out the devastating fire lasted well into the night Tuesday, and officials say that the remaining structure is too dangerous to leave. Sam’s Furniture in Jacksonville has been a staple in the community for decades, but now that building is little more than history after the blaze left it a total loss. Preserving a piece of NAS Patuxent River’s history, conservators removed a 12×20-foot mural of astronauts Wally Schirra, Alan Shepard, Scott Carpenter and John Glenn from the wall above the doorway of the abandoned Officers Club — or O Club — located on Cedar Point Road across the street from the Chesapeake Bay. Painted in oil on linen canvas and dedicated in 1986, the large mural, titled “Naval Aviation in Space,” was created by artist George McWilliams during the time he was employed at Pax River from 1981-1987 as a draftsman/illustrator. Smolek explained that the O Club was a popular assembly space for not only base gatherings but community functions as well, when the base was still accessible to the public. With the building slated for demolition, saving the mural became a priority. The mural was removed, stabilized and placed into storage with the eventual goal of having it put on display at the Patuxent River Naval Air Museum (PRNAM). Prior to removal, conservators cleaned the surface to remove the majority of grime and soiling from the painting’s surface and applied a protective consolidating facing. Since a strong adhesive was originally used to bind the painting to the wall, the mural was removed mechanically — meaning no solvents were used and nothing was dissolved — by shearing off the drywall paper to which the canvas was still attached and rolling it face-in onto a tube, which was a quicker and less stressful manner of removal. From the beginning of the space race we have been launching objects into orbit around the earth that all have limited lifespans. Everything from satellites used for communications, mapping, weather forecasting, and GPS (Global Positioning System) tracking on earth to the booster rockets used to launch spacecraft from the hold of earth’s gravity. There is an abundance of debris already orbiting the earth from both government and commercial sources. No one country is to blame as every country with a space program has contributed to the orbiting cloud of space trash now circling our planet. According to a 2011 report from the National Research Council, “Derelict satellites, equipment and other debris orbiting Earth (aka space junk) have been accumulating for many decades and could damage or even possibly destroy satellites and human spacecraft if they collide.” Left unchecked, this problem will exponentially grow as space debris collides with functioning satellites and only add to the challenge. While some space trash falls out of orbit and incinerates during re-entry into the earth’s atmosphere, there have been many examples in recent years of these objects making impact with the ground or falling into the world’s oceans. Compounding this problem is the fact that many of these objects contain toxic or hazardous materials. Waiting and hoping is simply not a sustainable way forward in dealing with the growing problem of space waste. Space Waste Solutions is committed to facing the challenges of both existing space waste and planning for proper waste management in future space development. Failure to properly plan for waste management has caused many building projects and developments to stall here on earth. Likewise, failure to plan and innovate solutions to space waste challenges will also lead to stalled development in space tourism and future exploration. With the growth of Space Tourism and commercial spaceflight ventures, now is the time to develop strategies and infrastructure that will support future opportunities. Many privately funded organizations and businesses have begun seeking creative solutions to the problem of orbiting space junk. 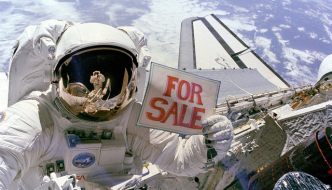 Space Waste Solutions believes that the answers and innovations needed to overcome these challenges will come through commercial and private sector efforts, building on the rich history and foundation laid by government agencies such as NASA and the ESA. Highlighting advances driven by those such as Google’s XPrize and Lunar XPrizeorganizations, Made In Space’s space recycling and 3D printing efforts, along with many others is a major way Space Waste Solutions promotes the call for a response to this growing challenge. We specialize in expert, friendly, and professional demolition from driveway pavement to residential or commercial buildings of any size. For our demolition project planning, we do the complete coordination of the pre-demolition assessment, inspection, any notifications (if required), and final disposal of the building including the foundations and the entire structure. We also have a company owned demolition landfill, the Area Demolition Facility, where we accept construction and demolition debris from the public. For the actual demolition phase, our projects include a diversity of building types and sizes, ranging from pavements, structures, houses, and garages to processing plants and commercial buildings. After the demolition, we can return the area to its original state with our site restoration phase. We can do the preparatory work to accommodate the site for a new building, a new development, new street, new park or green space for its next use. “However, when the Kmart was demolished in or around January , the city and/or its agents failed to perform the demolition in a workmanlike manner such that the city’s demolition undermined the Fulmer’s building’s foundation and left holes in the Fulmer’s Building’s exterior wall,” the suit states. Xenia Spokesman Lee Warren said city officials were served the lawsuit this afternoon. Demolition has begun in earnest at the old Main Elementary School at 3 Watters St.
Building a new Main Elementary, estimated to cost about $10 million to $11 million, will be funded for the most part through an extension of the 1-cent education local option sales tax voters approved Nov. 7. The system is shooting to have the new school built and ready to open its door by the start of the 2019-2020 school year. 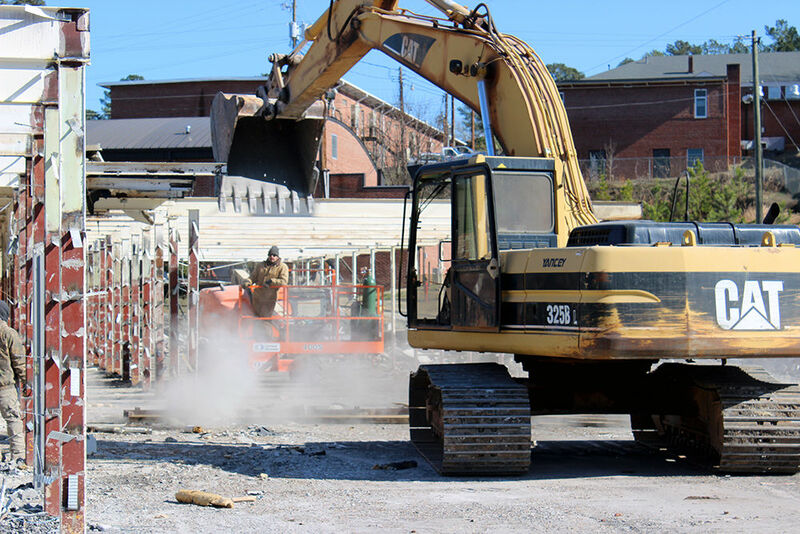 Demolition work is expected to take around two months, depending on weather and holiday delays, Rome City Schools Superintendant Lou Byars said in a previous meeting, and site grading and preparing the land for construction will follow.